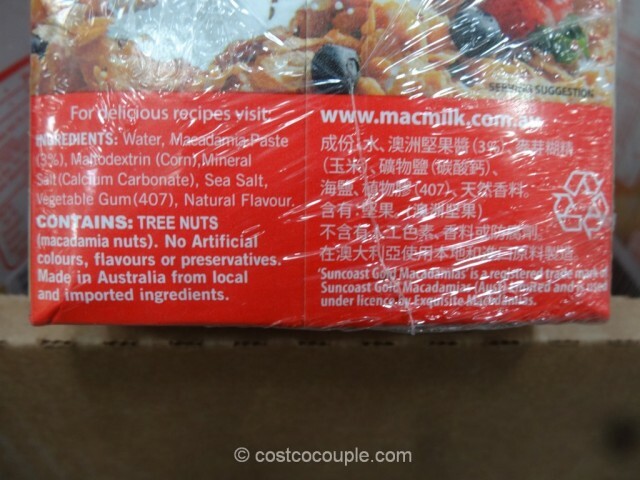 Costco opened its first store in Australia in 2009. 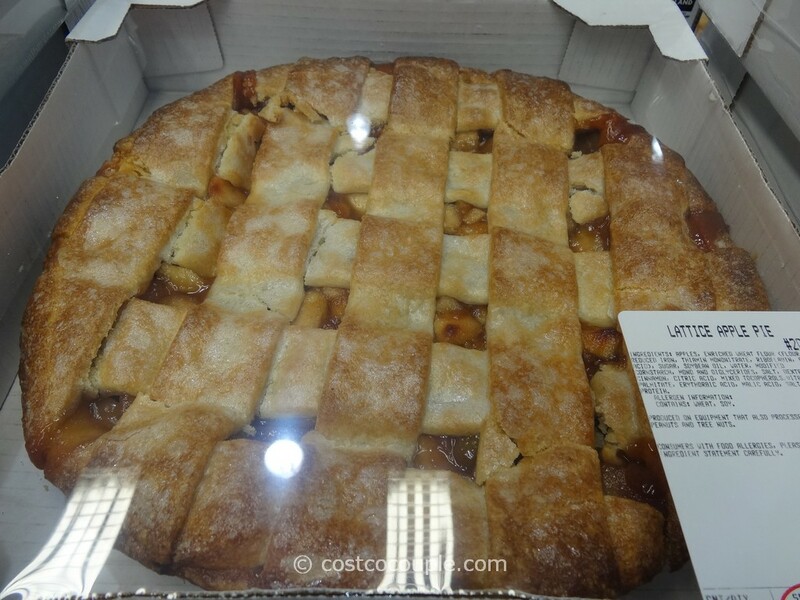 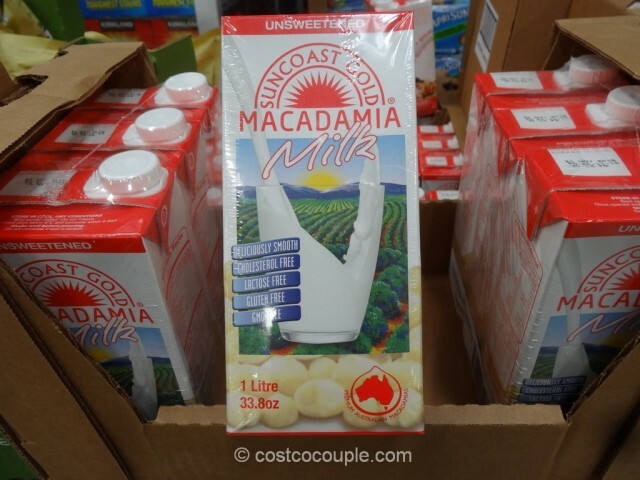 I don’t remember if Costco has offered any Australian products before but maybe that’s about to change. 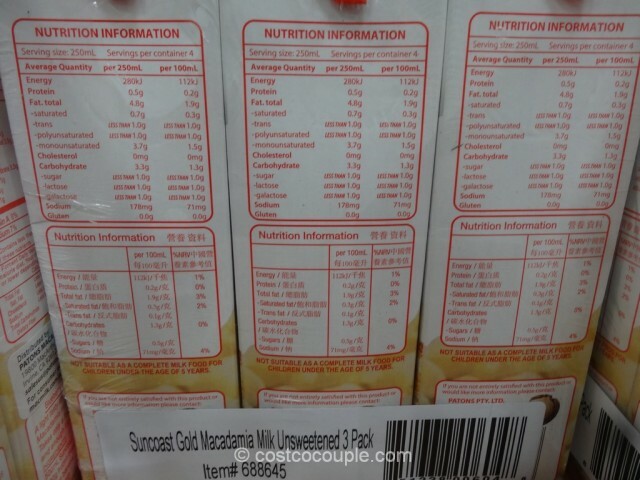 The Sun Coast Gold Unsweetened Macadamia Milk is a Product of Australia and another alternative to dairy milk. 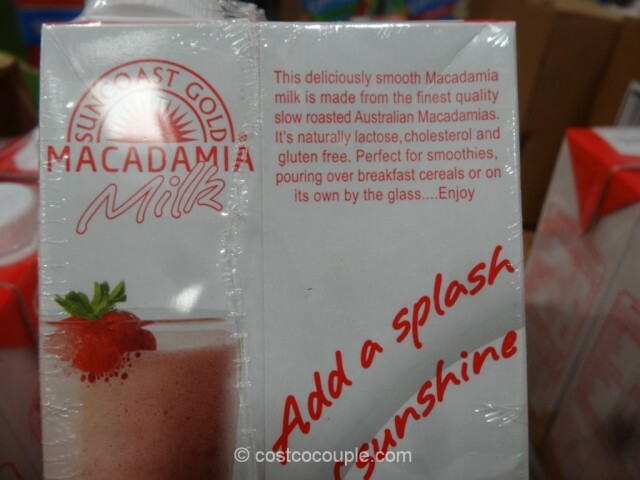 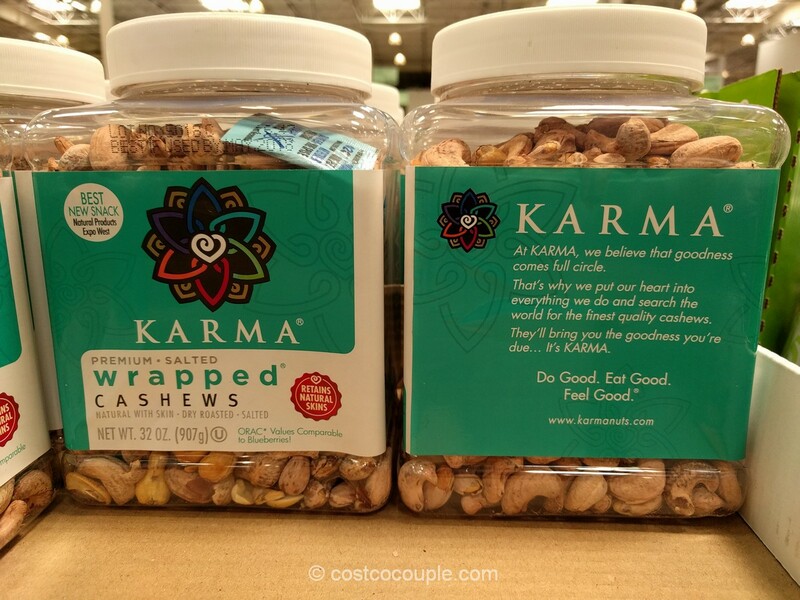 It’s made from slow-roasted Australian Macadamia nuts, and can be used for smoothies, breakfast cereal, or by the glass. 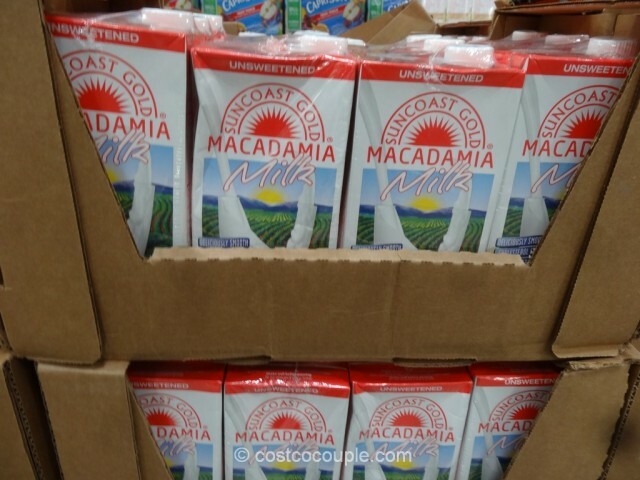 This macadamia milk comes in a pack of 3 boxes, each box being 1 Liter (33.8 ounces). 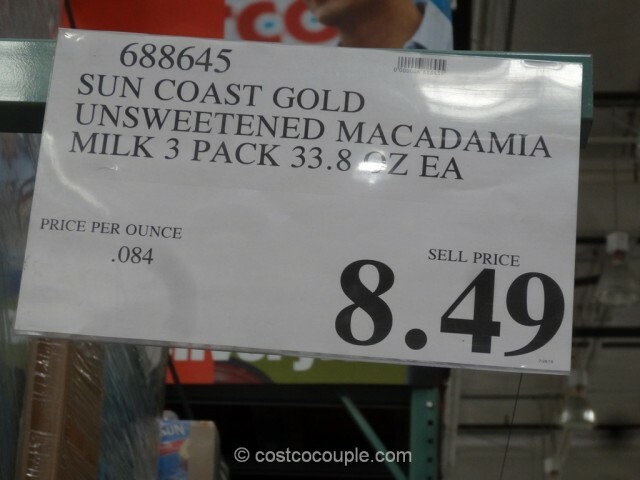 Sun Coast Gold Unsweetened Macadamia Milk in the 3-pack is priced at $8.49.